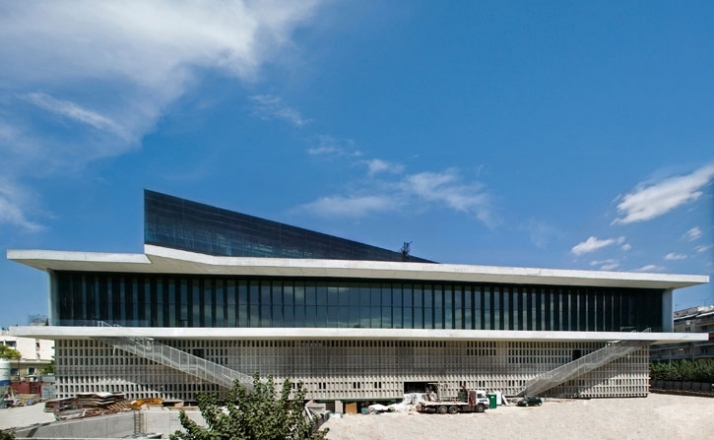 The New Acropolis Museum in Athens is a fact. For Yatzer, the Greek originated global online destination for those who are passionate about design and architecture (+more), no other happening could possibly hold the title of the major event that marked June of 2009. 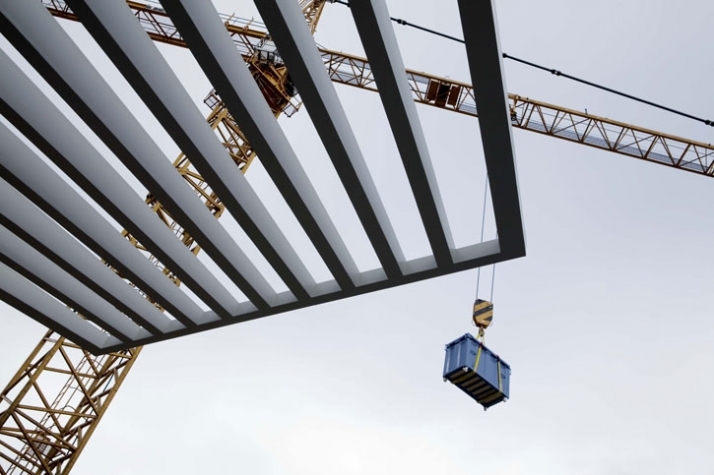 The Museum, designed by the Swiss-born architect Bernard Tschumi in collaboration with Michalis Photiadis & Associate Architects in Athens, opened its doors to the public only a few days ago on June 20th. 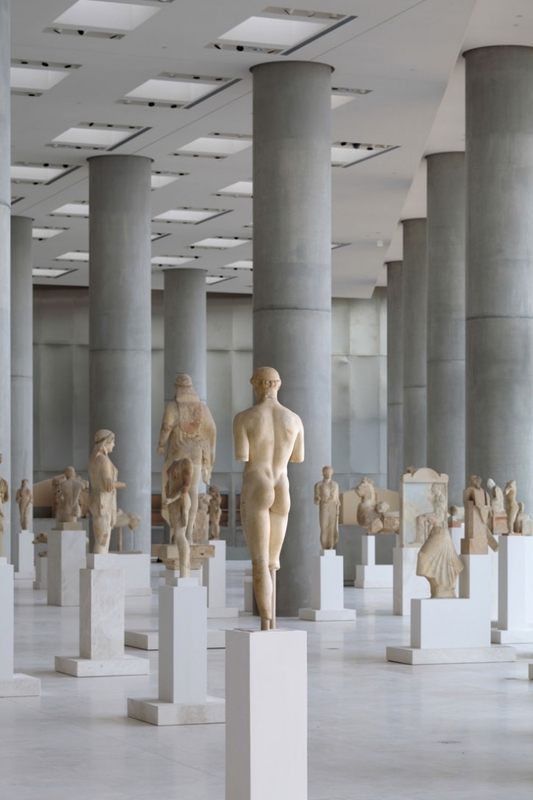 Located only 300 meters (980 feet) SouthEast of the Parthenon, with an exhibition space of 14,000 square meters and a cost of €130 million, the New Acropolis Museum houses some of the most famous works of classical antiquity. It aims at providing the visitors with a comprehensive picture of the human presence on the Acropolis, from the pre-historic times through late Antiquity, with the advantage of being built on the slope of the Acropolis itself. 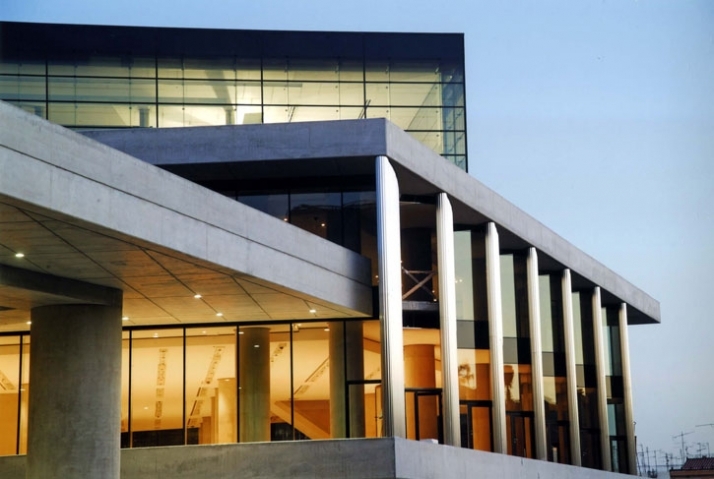 The three major materials used for its construction are glass for the facades and some of the floors, concrete for the core and the columns, as well as marble for the galleries. 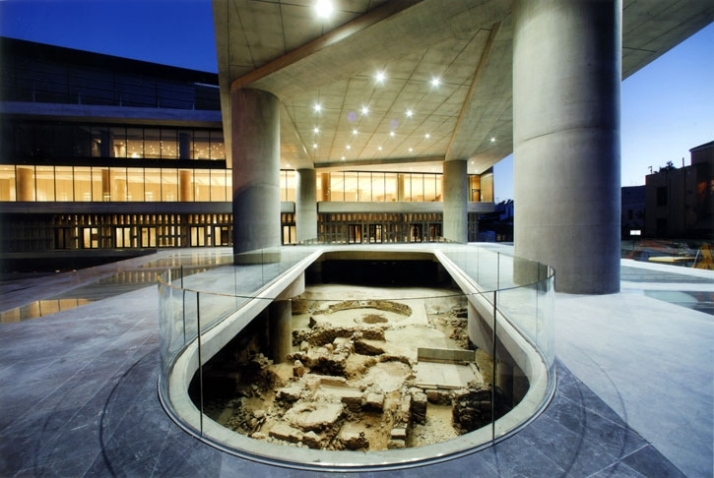 "Reflections" -- Large-scale site-specific video projections accompanying the opening of the New Acropolis Museum in Athens, Greece, on June 19-23, 2009. Conceived and directed by Athina Rachel Tsangari. Animations by: antidot design studio, HAOS Film, Nomint motion design, and Oval Image. Inside the Museum, visitors ascend a wide glass-floored gallery, as if they were ascending the slope of the Acropolis. 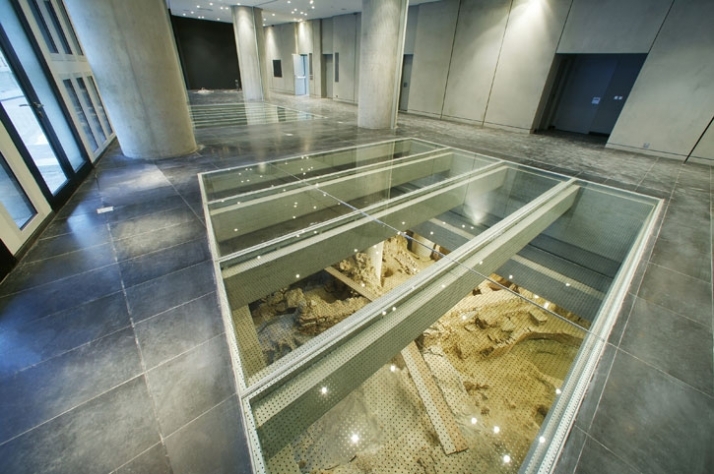 The glass ramp reveals ancient remains that were excavated during the building’s construction, thus providing a sense of continuity between the Acropolis and the museum site itself. Along the ramp, on the left and right hands, archaeological finds from the sanctuaries, as well as from the almost uninterrupted settlements from the end of the Neolithic period (about 3000 BC) until late antiquity (6th century AD) are displayed. At the end of the ramp the visitors come across the large finds of the “Hekatompedon”, the first large temple of the Goddess Athena on the Acropolis. On the second floor archaic and early classical statues are scattered across a big gallery like a crowd in an agora. 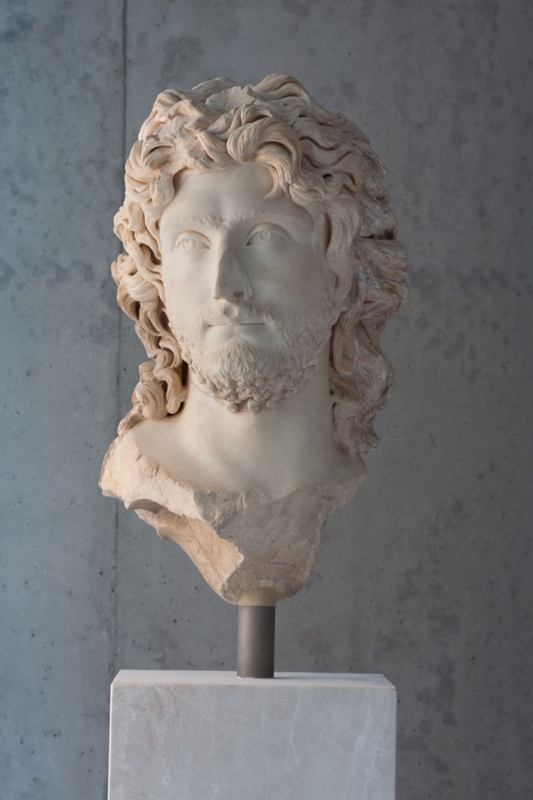 The specific display selection caused curatorial dispute, as the visitors might miss many important statues of the time, such as the “Kritios Boy” and other landmarks of archaic and classical sculpture. However, while wandering around one cannot help noticing the interaction between the public and the statues. The three-dimensional exhibits seen from all sides create a sense of an ongoing dialogue between the people mingling with the statues like in a promenade; visitors are pausing, admiring, taking photos and walking back and forth while following no specific predetermined museum course. A bit further down, the five Caryatids, those exquisite sculpted female figures from the Erechtheion’s temple porch, seem a bit incomplete without the sixth member of their “family”. The empty statue base is a reminder of the sixth Caryatid, displayed at the British Museum in London. The top floor is the rectangular Parthenon Gallery. 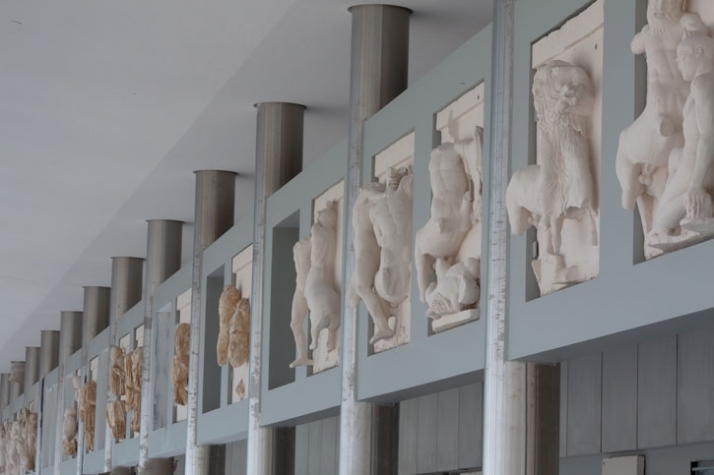 Arranged around an indoor court and with the Museum’s glass enclosure, the gallery display aims at orienting the Marbles – Ionian frieze and metopes - exactly as they were placed at the Parthenon on the 5th century B.C. 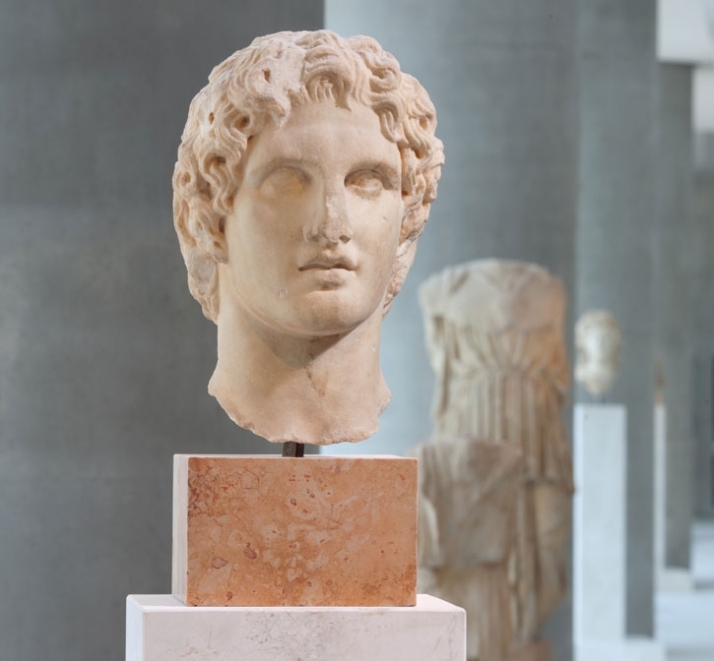 The visitor has the opportunity to view not only the Parthenon marbles in a space that has exactly the same dimensions as the cella of the Parthenon, but also the monument itself through the gallery’s all around glass enclosure. 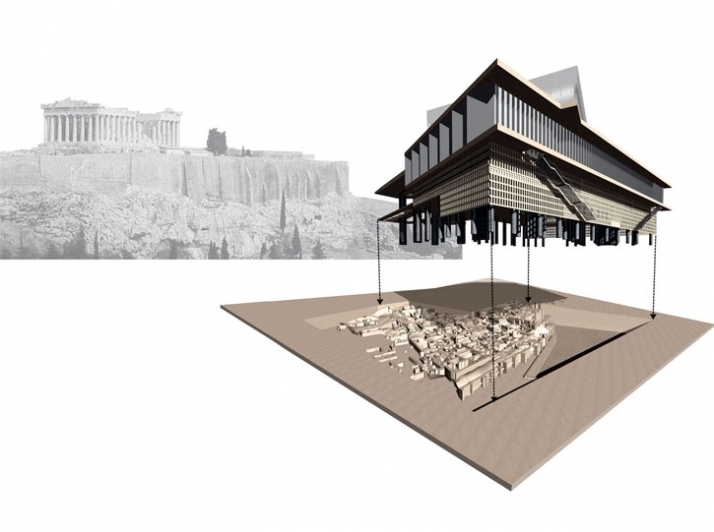 Ancient Athens and modern Athens combined, with the Parthenon and the Acropolis as their focal point. The presence of ambient natural light on the marbles is what makes the display breathtaking. 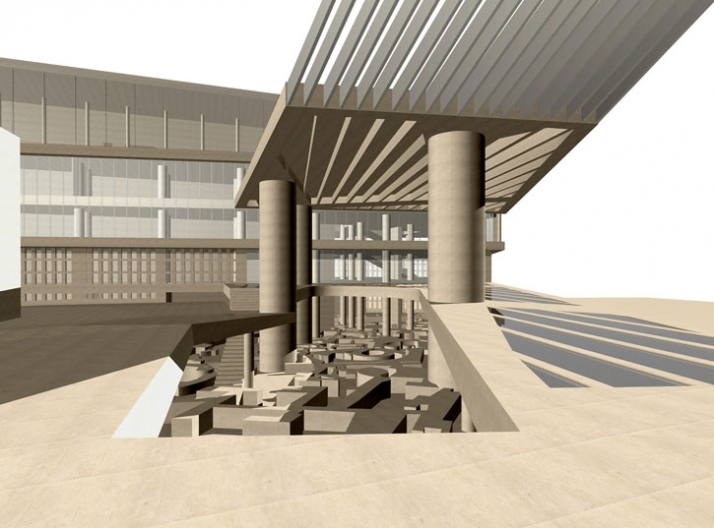 The New Acropolis Museum is a major event not only for Greece. 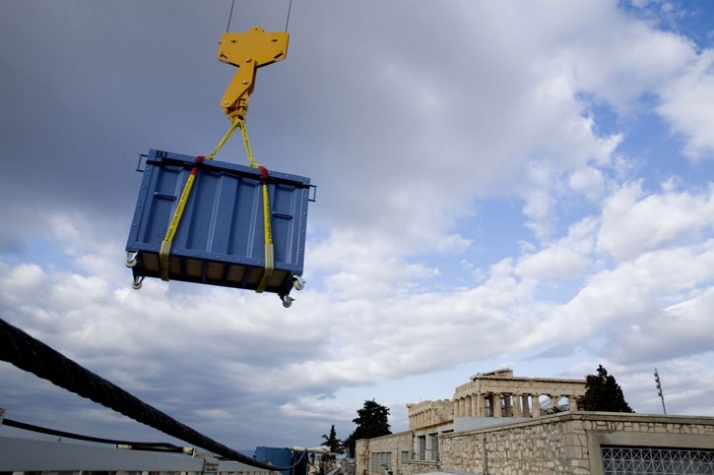 Its completion is one more argument on the ongoing issue of the repatriation of the Parthenon Marbles from the British Museum. Removed by Lord Elgin’s agents from 1801 to 1812 under a controversial permission from the Ottoman authorities to remove pieces from the Acropolis, the return of the Parthenon marbles has been troubling governments, museums and the public. The return of the marbles is not a new issue; one cannot mention politicians with an eye to posterity, starting with Melina Mercouri – the late actress who initiated the campaign for the return of the marbles already in 1981. 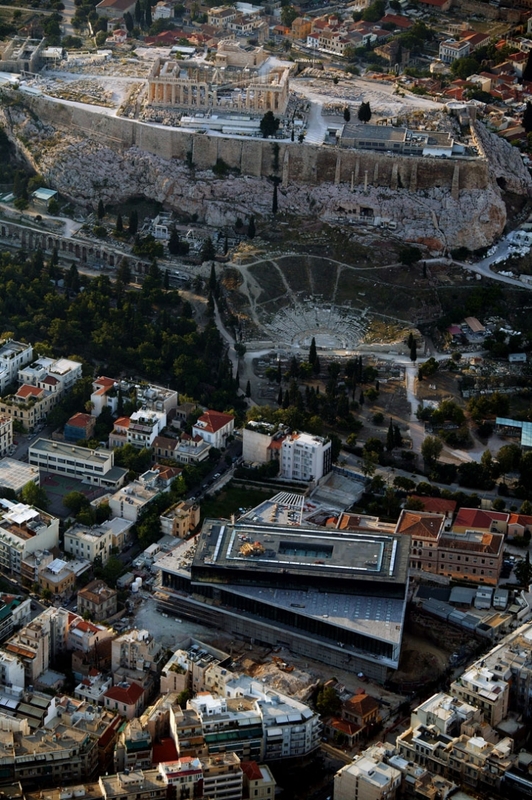 The large worldwide archaeological and public community, who support the return of the marbles to their rightful place, now have another strong practical and sentimental argument: a brand new Museum, constructed with top architectural standards right on the Acropolis slope, thus facilitating the reunification of the marbles. Moreover, the Museum -with its first construction groundbreaking taking place in September 2003- has been at the centre of general interest; neighbours have been complaining, values of surrounding houses have been raised; pros and cons have been expressed by curators and architects both on the museum design and the connection of the building to the general urban architecture. 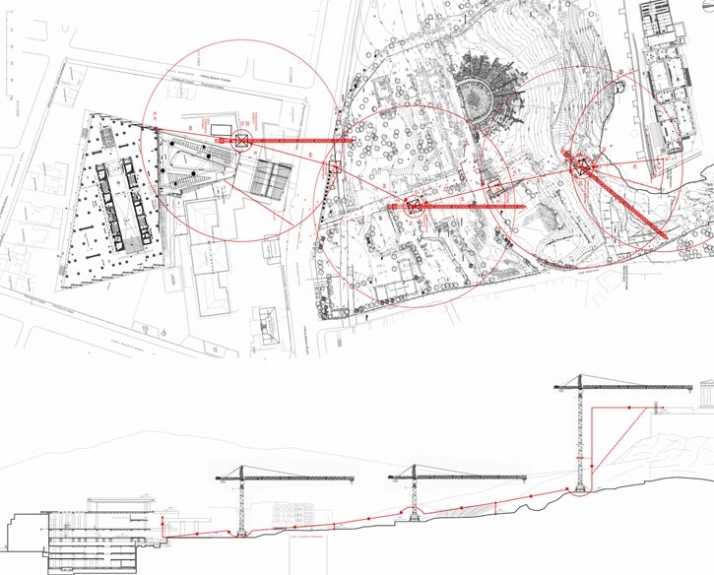 It makes sense for objections to arise on such a huge project. In all attempts and projects, from the smallest structure building to the largest construction, conflicting voices and objections often arise. 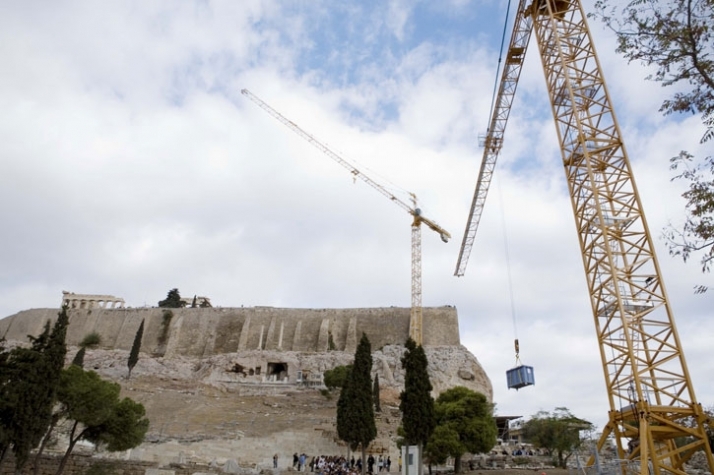 For something of the New Acropolis Museum magnitude, those were even more. 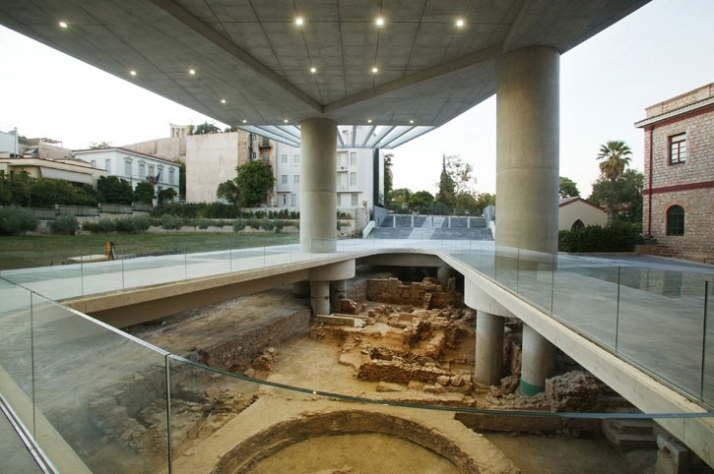 The New Acropolis Museum is already extremely popular among visitors from all over the world. What is now left for you is to experience the Museum for yourselves. Yatzer strongly invites you to do so. Signage: Signage has been developed to be both visible and yet to be as discrete as possible, recognizing that signage and wayfinding must not compete with the artifacts. Theater: A 250 square meter theater with 180 seats is fully equipped with projection facilities and a translation booth. Café, Terrace, and Store: A 770 square meter restaurant opens onto a public terrace with views of the Acropolis. Shading devices designed by Bernard Tschumi Architects are subtly incorporated into the overall scheme, allowing for year-round use during the day and night. Two 125 square meter shops are located on level +0 and +2. Landscaping: The 23,000 square meter site is landscaped with local vegetation that blends with the natural flora of the Acropolis slopes. Landscaping is designed to open up the public spaces in and around the museum and to incorporate with the neighborhood. 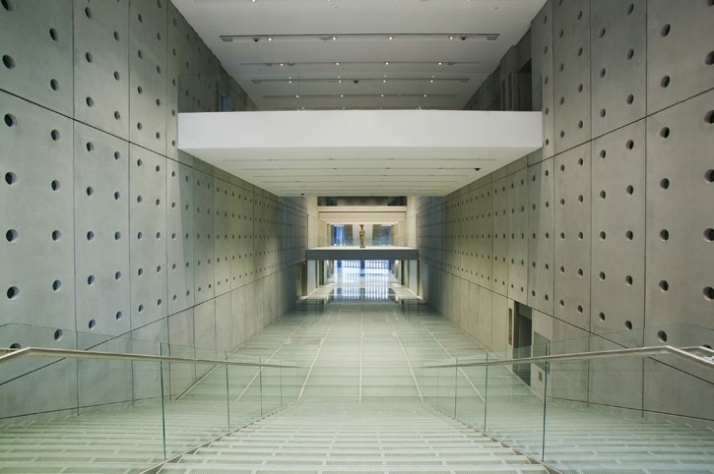 The museum is designed especially for pedestrian visitors, which access points on the north and east sides. Access: Parking is not provided on site, but is available nearby in the Makriyianni neighborhood. Bus dropoff is accommodated to the south of the museum on Hadjichristou street. 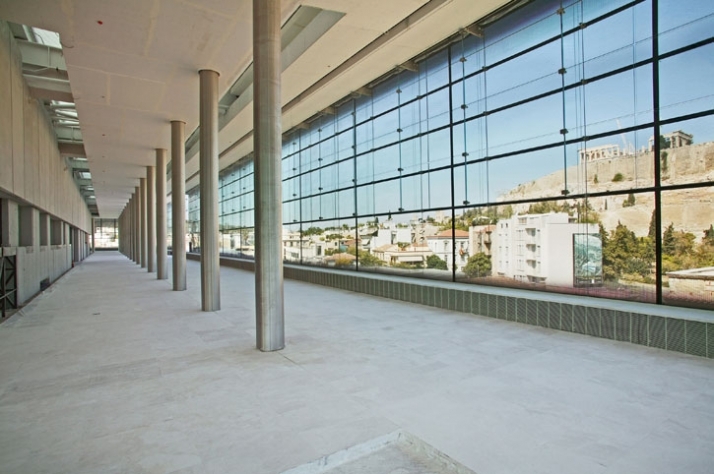 Public transit can be accessed from the northeast corner of the block at the Acropolis stop of the Athens Metro. 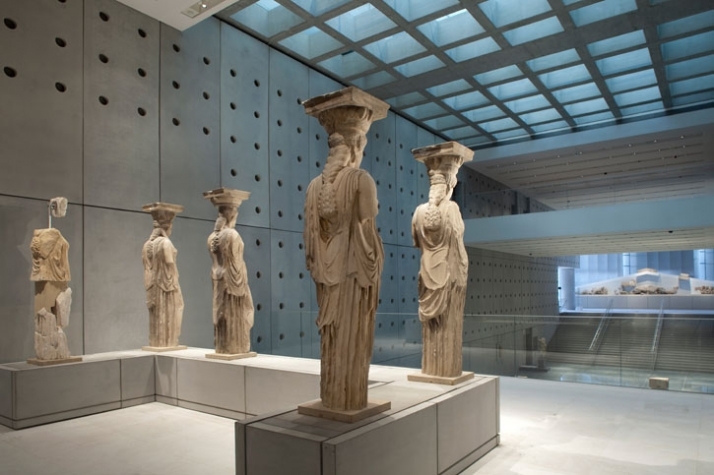 The Museum exhibits – masterpieces of world heritage – and the Museum as an example of high contemporary architecture are the undoubted stars of the Acropolis Museum opening. The artistic segment of the opening takes place in the Museum’s surrounding area: large-scale outdoor projections of animated sequences appear on the exterior shells of the Museum and its neighbouring buildings, transforming them into receptive, interactive urban membranes. 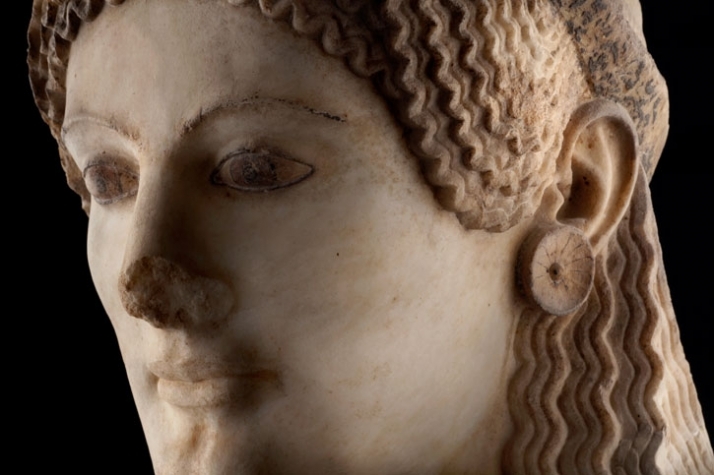 Points at which the sculptural world of the 6th – 4th centuries BC and contemporary Athens can meet and mingle. 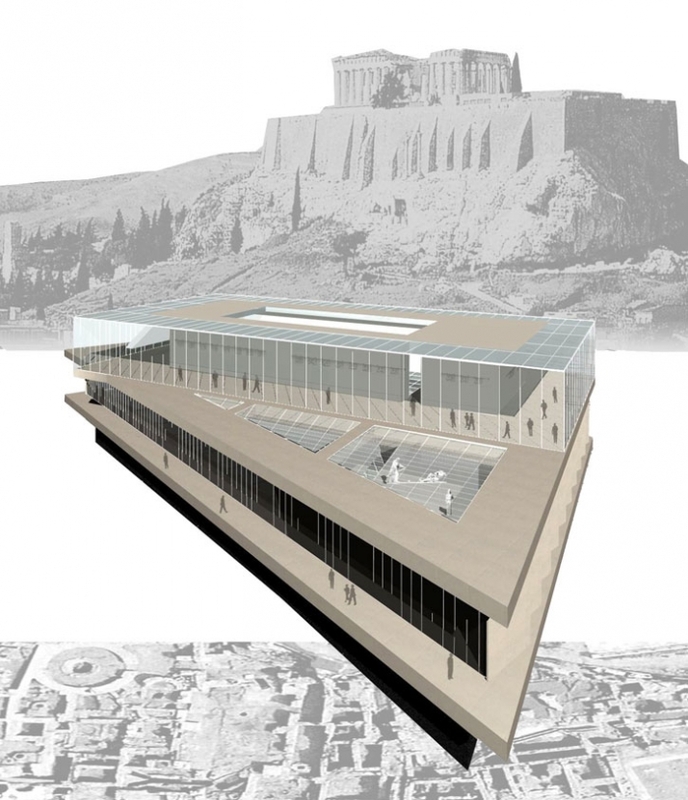 The projections draw their inspiration from the Museum’s architectural and conceptual principle of reflection between the Acropolis and the surrounding city. The projected images seek to multiply these reflections. Statues, and scenes taken from pottery are set into motion, coming to life in a series of animations played in a loop lasting an hour. Their aesthetic alludes to the first attempts to record and study motion during the early years of cinema. This artistic approach connects and parallels the emergence of two extraordinary periods in the history of anthropocentric world art: Classical sculpture and cinema. By interacting with or magically masking the structural and decorative elements of the buildings, the projections prompt a series of architectural games at the interface between the projected image and the façade “screens.” The projections will play from sunset until late on the Museum’s first three days open to the public, beginning after visiting hours have ended. Audiovisual Equipment P.C. Podimatas Audiovisual S.A.